The Pixar hit "Inside Out," nominated for an Academy Award for Best Animated Feature Film, was produced by SF State alum Jonas Rivera. The 2016 Academy Award contenders were announced yesterday, and once again, San Francisco State University alumni will have ringside seats at this year's event. Rich McBride (B.A. '90) was nominated for Best Visual Effects for "The Revenant"; Jonas Rivera (B.A. 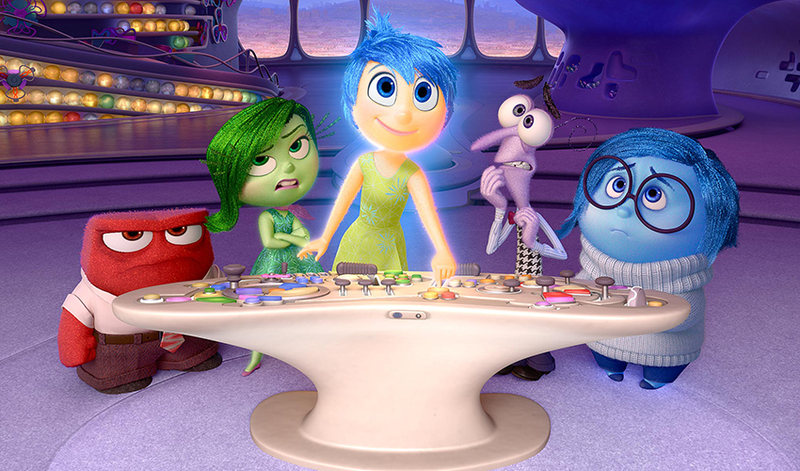 '96) was nominated for Best Animated Feature Film for "Inside Out"; and Christopher Scarabosio (B.A. '90) was nominated for Best Sound Mixing for "Star Wars: The Force Awakens." "Going to SF State was like the great stepping stone into my career," nominee Rivera said in a 2011 interview. "It made me feel like, 'Oh, there are people out there that feel the way I do about film, who are passionate about it.'" SF State alumni have received multiple Oscar nominations and wins over the past two decades and enjoyed a consecutive 16-year nomination streak until 2015. They are back this year, which marks the first that multiple alumni have garnered nominations. Past Academy Award winners include: Ethan Van Der Ryn (B.A. '85), Best Sound Editing for "King Kong" in 2006 and "The Lord of the Rings: The Two Towers" in 2003; Gloria Borders (B.A. '78), Best Sound Effects Editing for "Terminator 2: Judgment Day" in 1991; Steve Zaillian (B.A. '75), Best Adapted Screenplay in 1994 for "Schindler's List"; and Shawn Murphy (B.A. '68), Best Sound Editing for "Jurassic Park" in 1993. SF State nominees include Annette Bening (B.A. '85), whose most recent of four Academy Award nominations came in 2011 for "The Kids Are All Right"; and David Gropman, nominated for Best Production Design in 2013 for "Life of Pi" and for Best Art Decoration-Set Decoration in 2000 for "The Cider House Rules." ABC will air the 87th Academy Awards Sunday, February 28, at 4 p.m. Pacific time. For more information and a full list of nominees, visit http://oscar.go.com. To find more SF State alumni excelling in film and television, visit sfsu.edu/~hotshots/film.html. To learn more about SF State's Cinema Department, visit cinema.sfsu.edu. SF State's School of Cinema is recognized among the top 25 film schools in the country.